Here we selected and reviewed the best backpacking hammocks. A backpacking hammock is a great alternative to a tent in warm and relatively dry weather because hammocks are typically lighter and pack smaller than tents. Furthermore, they also provide a very comfortable sleeping position and are not prone to condensation issues like completely sealed shelters (tents, bivy sacks etc.). In wet or windy conditions a hammock can be used together with a tarp for protection against the rain and wind. However, hammocks also have limitations; they require trees or other elevated anchor points and you need some skills to pitch one properly. Therefore, they can’t be used above the tree line (mountaineering) and are not recommended for those who are new to camping out in the wild. Nevertheless, a hammock is a great option for an experienced hiker or backpacker who prefers modular and lightweight gear; hammocks are indeed highly modular because they can be used with tarps, bug nets and other accessories. 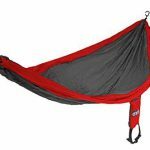 In the following we selected the best backpacking hammocks. We only listed lightweight and high-quality products which are perfect for outdoor activities such as backpacking, hiking, travelling etc. 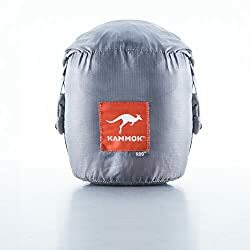 As for the sleeping equipment you might need inside the hammock, we have also made reviews of the Best Summer Sleeping Bags (sleeping bags with synthetic insulation) and Best 3-Season Sleeping Bags (sleeping bags with down insulation). If you are not sure that a hammock is the right thing for you, read our Sleeping Equipment Guide and consider if a tent or a bivy sack might be a better solution. 1. Buying a Backpacking Hammock – What is important? Lightweight equipment puts less strain on your body and allows you to hike faster. Therefore, a backpacking hammock should be as light as possible. 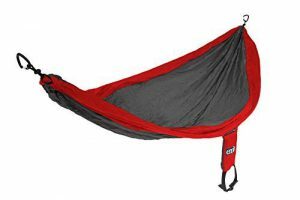 In this review we only listed lightweight backpacking hammocks – the lightest product in this selection weighs only 10 oz. while the heaviest weighs 2 lbs 12 oz. (together with the included tarp and mosquito net). Read more about why it is important to use lightweight gear for backpacking in our article Why hike lightweight. Backpacking gear should pack small so that it doesn’t take up too much space in your backpack. Hammocks in general require very little space – often less than inflatable sleeping pads. In this selection we only listed hammocks that are very small when packed and come with a stuff sack. Every hammock has a weight limit – typically hammocks for adults can hold up to 400 lbs. This is the case for four products in this review while one has a weight limit of 250 lbs. Modularity is one of the biggest advantages of backpacking hammocks. They can be combined with other modular components such as tarps (for protection against the rain and wind), insulation systems (for extra warmth) and bug nets (for protection against bugs and mosquitoes). The good thing about modular components is that you only bring them when the conditions require them. For example, if you are backpacking through mosquito-free areas you can leave the bug net at home to reduce the weight of your backpack. Weight 2 lbs. 12 oz. (with mosquito net and tarp) 16 oz. 10 oz. 1lb. 4 oz. 12.7 oz. 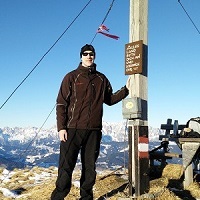 The Hennessy Expedition is very popular among backpackers and travelers because it provides great functionality. It comes with a detachable rain fly and mosquito net. Therefore, it can be used in various weather conditions. It is made of highly durable 70-denier nylon while the rain fly is made of 70-denier polyester. The rain fly is also treated with DWR (Durable Water Repellant) and coated with silicone in order to provide great protection against the rain. The mosquito net is made of robust 30-denier mesh fabric. The Hennessy Expedition hammock comes with webbing straps for easy and fast attachment to trees. Additionally, it also includes a stash bag for keeping vital gear within reach – the stash bag sits on the ridge line. The hammock is available in two versions; zip and classic. Both sleeping bags have a bottom Velcro entrance, but the zip model also opens at the top (where the mosquito net is attached to the hammock). The zip model is equipped with a high-quality YKK zipper. 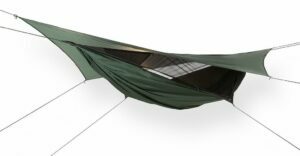 The ENO SingleNest backpacking hammock is like the Hennessy Expedition made of highly durable 70-denier nylon. With the weight of 16 ounces it is lighter than the Hennessy hammock. 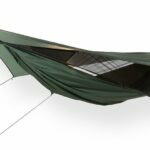 However, the ENO hammock doesn’t come with the mosquito net – the mosquito net is sold separately (ENO Guardian Bug Net) and weighs 16 ounces. It uses triple stitching for maximum durability and comes with aluminum wiregate carabiners. It has a weight limit of 400 lbs. and on the side, it features a pocket for storing crucial gear such as a headlamp. The webbing straps (ENO Atlas Suspension System) for attachment are sold separately. The hammock’s pocket doubles as a stuff sack and has compression straps so that you can pack the hammock really small. The ENO SingleNest is great for those who need a highly functional but inexpensive hammock. 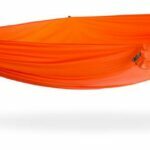 The Kammok Roo hammock is the lightest product in this selection – it weighs merely 10 ounces. Therefore, it is perfect for lightweight hiking and backpacking. It is made of 40-denier nylon (Gravitas fabric) for good durability. It comes with sturdy carabiners and racer slings. Webbing straps for attachment to trees are sold separately – the Kammok Python Straps. Modular components include the Kammok Dragonfly Mosquito Net, Kuhli Rain Tarp, Ridge organizer and Joey gear sling. Joey gear sling holds your gear suspended underneath the hammock while the ridge organizer keeps your vital gear (phone, headlamp etc.) over your head. This product is also available in a two-person version. 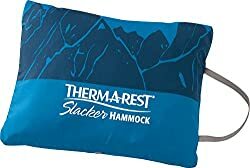 The Therm-a-Rest Slacker Single hammock differs from the other products in this review by material – it is made of polyester instead of nylon. Polyester is typically slightly less durable than nylon but on the other hand it also provides better breathability. For increased durability it uses a one-piece (seamless) design. It has a weight limit of 400 lbs and stuffs into an integrated pocket. The webbing straps have to be purchased separately – Therm-a-Rest Slacker Suspenders (Hanging Kit). The Therm-a-Rest also offers many modular components for this product; Rain Fly, Bug Shelter and various insulation systems. 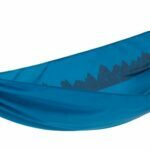 The Sea to Summit Pro is a super light hammock (it weighs merely 12.7 ounces) which is perfect for those who prefer lightweight hiking and backpacking. It is made of 70-denier nylon and comes with a waterproof Cordura compression bag. The webbing straps for attachment can be bought separately – Sea to Summit Hammock Suspension Straps. The Sea to Summit Pro is available in three different colors and packs down really small – it comes with a compression bag. Modular components include a hammock gear sling, hammock bug net and the 15-denier UltraSil Nano tarp. The Sea to Summit Pro has a weight limit of 400 lbs. In most cases the hanging distance should be around two feet greater than the total length of the hammock. However, some hammock brands sell accessories which allow you to extend the hanging distance. For example, Kammok sells Python Extenders which add nine feet to you hang distance. How do you hang a hammock? You hang a hammock with straps. Straps are often sold separately. They should be relatively wide to protect tree bark and cambium. Do you need a sleeping bag with a hammock? 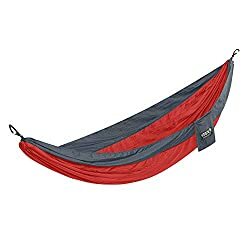 A hammock doesn’t provide any insulation on its own and therefore you should always use a sleeping bag with a hammock. ← Polyester vs. Merino Wool: Which material is better for sportswear?